Tue., 23 Jul. - Thu., 1 Aug. Situated near the airport, this hotel is 1.1 mi (1.8 km) from Norfolk Premium Outlets and 2.8 mi (4.6 km) from Norfolk Botanical Garden. Virginia Wesleyan University and Lake Wright are also within 2 mi (3 km). 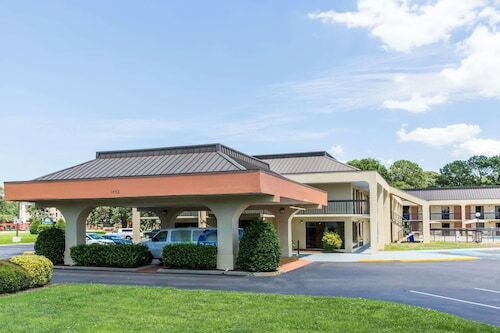 Situated near the airport, this motel is 0.9 mi (1.5 km) from Lake Taylor Hospital and within 3 mi (5 km) of Gallery of Military Circle and Sentara Leigh Hospital. Hampton Roads Agricultural Research and Extension Center and Norfolk Botanical Garden are also within 3 mi (5 km). 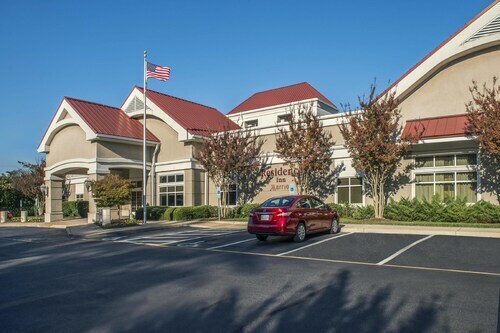 This family-friendly Norfolk hotel is located near the airport, within 2 mi (3 km) of Norfolk Premium Outlets, Gallery of Military Circle, and Lake Wright. Norfolk Botanical Garden is 2.9 mi (4.7 km) away. 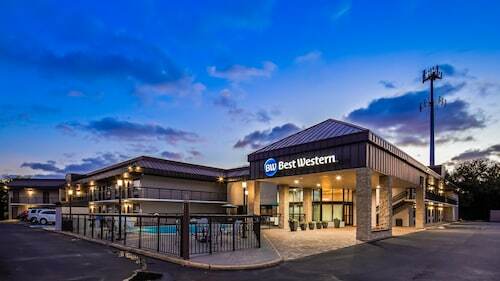 Situated near the airport, this hotel is 1.2 mi (1.9 km) from Norfolk Premium Outlets and 2.8 mi (4.5 km) from Norfolk Botanical Garden. Virginia Wesleyan University and Lake Wright are also within 2 mi (3 km). Question : How long do most people stay in Norfolk on average? Question : How much is a plane ticket to Norfolk (ORF) from Montreal (YUL)? Answer : Prices vary from $289 to $738. Booking in advance can typically help you get the cheapest rate. Don't forget, you can save by booking further in advance. Answer : The cheapest day to fly from Montreal to Norfolk is on Tuesday. So, if you want to save some money on your next getaway look for flights on Tuesday. Question : What is the cheapest date to fly to Norfolk? Answer : If you are wanting to save, look at Apr 30th. As of Apr 15th, it's showing the cheapest ticket sales at $289. That is 37% below the average price for this route, so you can spend the savings on an adventure rather than the flight. Question : What is the cheapest airline flying from Montreal to Norfolk? Answer : Ticket costs are hitting as high as $738 over the next three months when flying to ORF from YUL. Check out Delta Air Lines, as they have bookings at just $289. Question : Which airline has the least delays from Montreal to Norfolk? Answer : Air Wisconsin leads the way with a 0% on-time rate. Life has too much to offer to spend it waiting in an airport, so check out Air Wisconsin to get in and out of airports as quickly as possible. If they are late for some reason though, the average delay is about two hours.